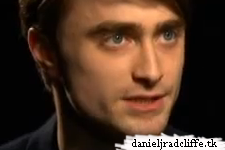 Daniel talked with CBC's Eli Glasner about the appeal of The Woman in Black and a little bit Kill Your Darlings. is it me or just does his hair look lighter?? ?